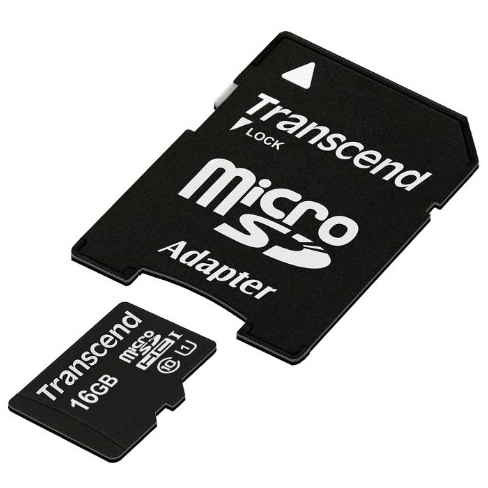 On the lowest tier we've got a Transcend 16GB MicroSD card for ten bucks. You're unlikely to find a price that low at a brick and mortar retailer, especially since this is the very speedy Class 10 UHS-1 standard, which will be useful for gamers and media enthusiasts who store their apps on external storage. Moving up a bit, there's the 32GB version of the same Transcend card for just $16.99, a $6 saving, and a massive 64GB version for $34.99, a full 30% off the regular price. Make sure your device is compatible with the SDXC standard for that one. There are plenty of deals to be had on today's Gold Box page even if you're not looking for a stocking stuffer for your Android gadgets. Standard SD cards and Compact Flash cards are available for shutterbugs, there's a pretty great deal on a 256GB SSD for system builders, and USB 3.0 flash drives are going for practically peanuts. If you want to get in on any of these deals, hurry: Amazon's Gold Box prices are only for one day, and they're also limited by stock and tend to go quickly.